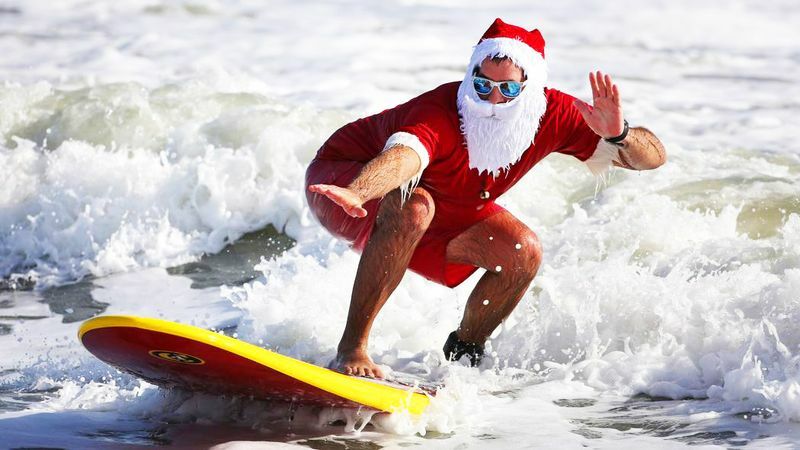 Surfing Santas Cocoa Beach is an annual Cocoa Beach tradition that brings hundreds of surfers dressed up as Santa. Watch them ride in on the waves and kick off your holiday beachside at this free event. December 24 at 8 a.m.
at the end of Minutemen Causeway, Cocoa Beach.